This gives the boiling point of the highest fluoride of the element. Image showing periodicity of boiling point of highest fluoride for the 6f chemical elements. 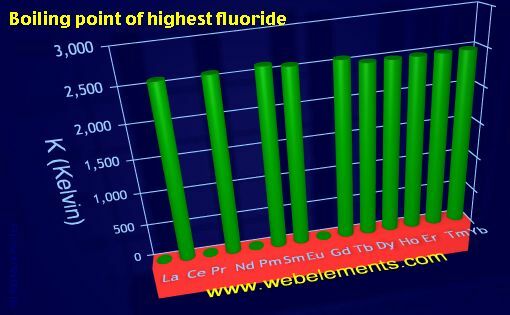 In cases where there is more than fluoride, the value for the highest fluoride is given.